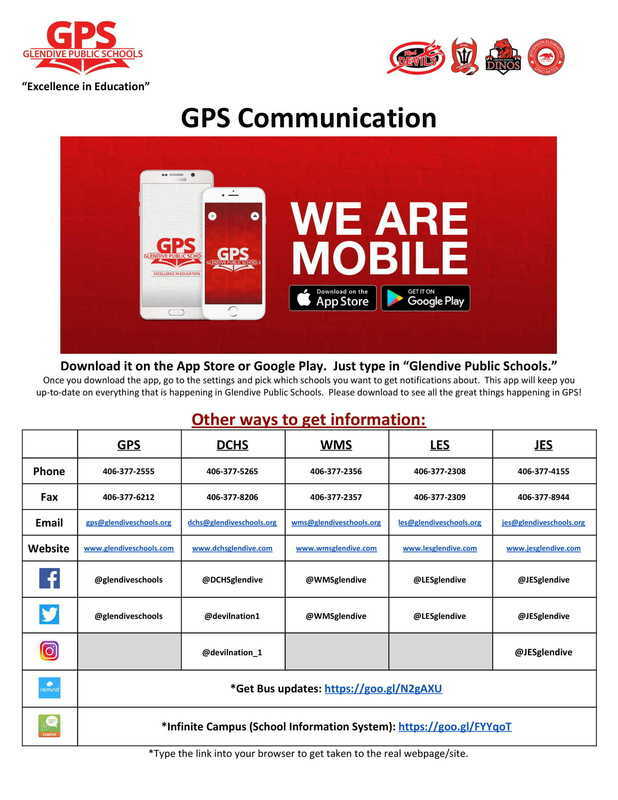 The new way Glendive Public Schools is going to communicate with everyone is here. Please download the app to get the most up-to-date information in real time. We are very excited to be able to provide this for everyone. You do not have to be a parent to download this app. If you want to know what is happening at GPS, this is for you. As with any new technology, we will have some kinks to work out to get everything working exactly as we want it. We appreciate your patience as we transition. Please note: our websites might be down temporarily as we are switching them over to help sync with our new app. We will also be posting a tutorial soon.